Blog – Peace On Earth this Year Or Soon Enough! The top, top American political leader, along with the top presently in-control political party, and in coordination with the White House Press Secretary’s statements today, have been claiming, or allowing the claims or implied claims, that the American justice process itself, as defined in our US Constitution and laws and regulations, is un-American! But, it is those that taint the American Justice Department and system and process (Constitution, laws, regulations and departments), who are presently being and acting un-American! The White House Press Secretary today stated that the fully legal and law abiding raid done yesterday, on the top, top American political leader’s personal lawyer’s property, was both a “witch hunt”, as well as stating that the legal raid was done according to the Justice System processes, which again then is to say that the American Constitution, laws and regulation, is what these top, top and top political leaders have now claimed to be an un-American witch hunt! The presently in-control top political party speaks not of American justice or truth, in relation to their many historic dishonest statements and false claims, of there being absolutely no Russian collusion or coordination or business dealing, which were in fact ongoing during or just after the two-Thousand-Sixteen National election; for, these all were simply known falsehoods and lies, spewed and spit onto We The People, for the direct purpose of controlling political power, outside of the presence of honesty and congruent factual truth, by trying to weaken and manipulate We The People, as well as then the American Constitution, laws, regulations, Justice Department, Law Enforcement Agencies and democracy. Our Founding Fathers’ and our Nation’s insightful and epic and world renowned American Constitution, laws and regulation, are the process of our American We The People democracy and FREE and fair elections and Justice System, which now the top presently in-control political party, in coordination and collusion with the top, top presently in-control political leader and the White House Press Secretary, actively or passively have claimed to be un-American, and an attach on our Nation, and a witch hunt. But this has been done so, only in the weakness and disloyalty of falsehoods and illusions, being actively used to play upon the good natures and accurate understanding of We The People, relating to the presented ongoing attempt to undermine We The People’s unity and democracy as a free and democratic nation, for petty and weak undeserved personal, finical and/or political gain. This is the real attack on our country, and an attack on what We The People, as a sovereign Nation, stand for! If any acts of the Justice Department were ever truly measurable to be ‘witch hunts’, in direct relation to the top and top, top presently in-control political party and leaders and spokespersons, then very simple open and honest full disclosure, and including opening up Justice Department to full direct free access to any and all taxes, documents, agreements, and home or office computers, phones, e-mails and any other records and documents, would cure any true ‘witch hunt’, and end it immediately by open and honest full disclosure and cooperation. Such honest and open acts have to date been not done! And, We The People, and the world for that matter, do not even need to accurately Muscle Test the absolute universal human congruent factual truth, of this weakening unpatriotic and disloyal claim, which measurably falsely states that, the American Justice Department conducting itself, legally as allowed under the American Constitution, laws and regulations, …is a ‘witch hunt’ against America! These are legal, and law and democracy abiding, Justice Department acts and actions; and, the only attack on American justice, is to falsely claim these as “witch hunts”, exactly like President Nixon did shortly before he was required to resigned. The fact that there is already an abundance of publicly known and well justified reason to investigate the Russian election hacking and tampering, and the top, top and top presently in-control political leaders and political party, in relation to these acts against We The People, teaches America that common sense, logic and reason each and ALL dictate that, the only presently ongoing American “witch hunt”, is ongoing only by the top, top and top presently in-control political leaders and political party and spokespersons, which are blatantly acting against We The People and We The People’s democracy and sovereignty and Justice System, as The United States Of America, USA! Peace On Earth This Year Or Soon Enough arises We The People of America and the world, within the honesty of universal human congruent factual truth, beginning to more universally be measured into being by We The People universally. The Science Of Muscle Testing Good Life Choices arises, to help those that have allowed the weakening disease of falsehoods and illusions to drive and steer their crooked and dishonest course, unmeasured. Human falsehoods and illusions have been built upon and reinforced, by those of confused and manipulated moral ideals in top and top, top political and financial control of We The People. And, it is only the accurate and repeatable universal scientific measurement of universal human congruent factual truth, that can end the tainted rule and dishonesty of those that presently need to be universally voted out of office and never supported again, by We The People of patriotic loyalty to the US Constitution and The United States Of America and Liberty And Justice For ALL! Peace On Earth This Year Or Soon Enough We The People, Peace On Earth This Year Or Soon Enough. Pride in my Nation and the youth of my Nation, as well as the young of mind and heart, who have today spoken for the ALL of a more safe and secure Nation and humanity. Peace On Earth This Year Or Soon Enough marches within the hearts and minds of ALL that speak up for a society and world that is more safe and FREE of violence. Liberty And Justice For ALL speaks in those that simply ask for the gun lobby to cease and desist using blood money, to promote the allowance of gun sales, which are above and beyond the needs of We The People. Lobby for gun safety and background checks and National licensing and age and criminal record restrictions, for more Peace On Earth This Year Or Soon Enough. And, if a politician takes gun lobby money, and ever votes for the allowance of gun sales, then the gun lobby money in truth can be equated to blood money that needs to be voted out of office. Peace On Earth This Year Or Soon Enough arises within the truth spoken by children and youth, ALL across this fine Nation and this fine world. Universal Congruent Human Factual Truth lives to teach and unite We The People, into the personal and universal understanding that, the universal human measurement of Universal Human Congruent Truth, within the accurate and objective science of Muscle Testing Congruent Human Factual Truth, can unite humanity into Peace On Earth This Year Or Soon Enough. March For Our Lives and Peace On Earth This Year Or Soon Enough We The People, Peace On Earth This Year Or Soon Enough. Blood money taken by politicians so that they support ignoring the National disgrace and weakness, which is held within the We The People allowance of ongoing crimes of gun violence, needs some universal human truth. Politicians that take blood money from the gun lobby, need now this day to never again accept the stain of the gun lobby’s blood money; and, need to now this day fully support laws that restrict gun violence, like Australia and Japan have done to great success in lessening their National gun violence against children and adults. Otherwise, politicians that that continue to accept the blood money from the gun lobby, need to either always vote absolutely against ALL pro-gun laws, and support and vote only for any and ALL gun restrictions; or as politicians that accept blood money, they must now be fully recognized, and then be never ever supported or voted for again, by any loyal and patriotic and strong Citizens of The United States Of America, who care about our children and our National future. The measured universal human truth and congruent human factual truth of this matter, is that many politicians ignore domestic gun violence, to only earn a pay check of blood money political contributions from the gun lobby; and, We The People of loyal patriotism need to now witness this fact of American life; and again, never ever again support or vote for any politician who now this day forward, continues to accept the blood money of the gun lobby, without full voting and supporting only laws and regulations that restrict any gun access. Vote as you choose; and yet, do so while simply not accepting the gun lobby’s money, to in truth show true, and not bought and paid for, true support for how you vote, while then not being paid in blood money earned by gun sales to people who kill our children and other FREE Citizens. Truth We The People, lives within the congruent human factual truth that, unregulated and uncontrolled guns within current laws and regulations, kill innocent children and other American Citizens! Bazookas and rocket launchers are restricted, as also should be assault rifles, and any multi-shot or rapid-shot guns, which can and have been used, to kill and wound many children and other Citizens at once. Look to the common sense found in Japan and Australia. Protect our boarders and Citizens from the infusion of guns and gun violence, presently allowed within weak gun lobby funded and supported laws and politicians; and, protect our boarders and Democracy from the cyber hacking and acts of election tampering, which the Republicans in top political control, have allowed to continue without even any needed Russian sanctions being put in place, while We The People’s next FREE election looms as very vulnerable, to another Russian enacted and Republican allowed election hack and attack. The congruent human factual truth is now on scientifically measurable, as is Peace On Earth This Year Or Soon Enough We The People, Peace On Earth This Year Or Soon Enough! The book titled “1984” teaches that We The People’s democracy and National Security is being weakened and misused, by members of the Republican Party and their top political leader and leaders. The novel “Nineteen-Eighty-Four” teaches that the present and ongoing doublespeak, and blatant dishonesty and misrepresentation of the truth, within the selective picking of only partial and out of context facts, to try to manipulate and weaken the citizens of The United States Of America and our National Security, by the top presently in control political leader and party, is a symptom of the clear and present corruption that now presently exists within the Republican Party! Dishonesty and disloyalty being in top political control of We The People is the clear and present National Security problem, which is the Republican Party neglecting to act or speak up, to actually keep our USA boarders secure, from the true National Security threat of foreign Russian elections tampering, and the disloyalty of the Republican Party attacking the Department Of Justice and the Federal Bureau Of Investigation, for doing their duty by investigating secrete, hidden and denied Russian coordination. God Bless America and our DOJ and FBI! To have cherry picked only partial facts and other misrepresentations, about the clear and present severe USA boarder security weakness, so as to act against the investigation of the clear and present Russian election hacking and voter disruption activities against We The People since Two-Thousand-Sixteen, is now the allowed unpatriotic practice of disloyalty that is being perpetrated against The United States Of America’s democracy and We The People’s good and honest memory and intelligence. To now witness how the leader and leadership and rank and file politicians within the Republican Party, are mostly focused on a legally obtained warrant, given properly and for good reason to investigate the measured corruption within the Republican Party leaders and members and agents, and while Russian sanctions have not been enacted, and while the Russian this year election threats remain clear and present, is to now witness the book “1984” alive and functioning, as those that need to never be supported of voted for again, by the loyal patriots of The United States Of America. Liberty And Justice For ALL! America, We The People’s FREE and FAIR elections were made unfree and not fair, by the Russian election hacking and direct voter disruptions, perpetrated and enacted against America’s democracy, while secrete and hidden and denied communication were ongoing between Russian agents and agents within Republican Party. This is factual and measurable universal human truth! Known historic practices show that false and dishonest distractions, have been and are being used by those presently in top political control of We The People’s government and democracy; and, that these tactics are known to be used by the guilty and weak, who want to keep getting undeserved support and votes, by a weakened and divided State Of The Union. And again, the sanctions against Russia presently go ignored and not put in place, by the one present top in control political party, who gained support and votes by acts of treason by agents of Russia, and while hidden, secretive and denied actual and proven communications and coordinations were then ongoing, between Russian agents and agents within the Republican Party. This is simply the known honest facts; and, to say otherwise or less than this would be disloyal and unpatriotic. The known facts speak for themselves, and only unpatriotic disloyalty says otherwise. Muscle Testing Universal Truth We The People, can accurately and repeatedly measure the honest facts, into the truth and strength and health and Peace On Earth This Year Or Soon Enough, of our present modern human day. Measure universal human truth into supporting the DOJ and the FBI and Peace On Earth This Year Or Soon Enough We The People, Peace On Earth This Year Or Soon Enough! The sanctions against the Russian government are not the priority of the one in control top political party of We The People, which is the one single political party that gained and was supported by the election tampering that, gave only the now in top control political party, the election wins of our last National election, while secrete and hidden and denied communications with Russian agents were then ongoing, and are still being hidden and misrepresented. Disloyalty to We The People and our democracy, and to the strength and health of a united Nation, is shown in the lacking of any real actions to secure our boarders from the Russian agents, again tainting our National elections and election results, in favor of only one political party, as happened in the last National election. Those who have nothing to hide and did not gain from the Russian election tampering, do not stall sanctions, nor do they neglect to make the border security problem with Russia’s election meddling, a true top priority of the security of We The People Of The Land Of The FREE And The Home Of The Brave! Stop the recklessness and disloyalty of the one top controlling political party; because, misrepresented facts that are shared to weaken We The People’s law enforcement, justice systems, and FREE and FAIR democracy, need to me measured honestly and accurately, so as to be never supported or voted for again! Muscle Test Universal Truth back into our National dialog, about securing our borders from further secretly, denied, hidden, coordinated and executed foreign election hacks against We The People’s democracy, justice system and the law enforcement investigations of We The People’s FREE and FAIR elections, for Peace On Earth This Year Or Soon Enough We The People, Peace On Earth This Year Or Soon Enough! If you have nothing to hide, then hide nothing; and, let the FBI and Justice Department do their jobs fully and FREELY, for Liberty And Justice For US ALL! The State Of The Union is weakened by dishonesty, naturally and measurably. Disloyalty arises in those of the one controlling political party of We The People, who speak of loyalty and patriotism, in the same sentences as words about the unpatriotic and dishonest partisan and dividing abuses of their party’s controlling political power. Justice stands within the Separation Of Powers, providing fair checks and balances. Disloyalty and dishonestly have been used to taint We The People’s Justice and Law Enforcement Departments; only because, they have been simply doing their duty to serve We The People and United We Stand, as well as to serve the honest and factual investigation of truth and justice and democracy. The top controlling political party and top political leader of We The People, have had many hidden and secrete and denied communications and consultations with Russian government agents, when Russia was known then to have been acting to only help the top now in control political party and top political leader get elected, by acts of treason against We The People’s FREE and FAIR last National election! And the Russian sanctions are stalled. We The People Your Nation Needs You, to presently support Liberty And Justice For US ALL, by supporting our Federal Bureau Of Investigation, FBI, and We The People’s democracy and justice system. Honest universal truth is being spoken and acted against, by those in top political control over We The People’s government; and, We The People need to measure this honestly, to rise above these acts of dishonesty, disrespect, disloyalty and other weakening and dividing acts, that are being done by those who are in present political control; and, who need to not be supported or voted for any more. If you have nothing to hide, then hide nothing, and be not reckless; and, let the FBI and Justice Department do their jobs fully and FREELY, for Liberty And Justice For US ALL! Peace On Earth This Year Or Soon Enough We The People, Peace On Earth This Year Or Soon Enough, is not founded in treason, nor dishonesty, nor misdirection, nor misstatement, allowed to go on unmeasured, by the truth of the light of our day! Muscle Test Universal Truth back into our National dialog We The People, for Peace On Earth This Year Or Soon Enough We The People, Peace On Earth This Year Or Soon Enough! Falsehood and illusion lies in weakness, while truth and FREEDOM stands tall in strength. Muscle Test Universal Truth. Human enlightenment is the human ability to see and recognize, and so measure, universal human truth, better and more accurately and more usefully, within one’s own personal and community human life; and, Muscle Testing Universal Truth can guide and teach and create enlightenment within human beings, who accurately and honestly, scientifically and spiritually Muscle Test Universal Truth, for the greatest good of life itself. One Peace Press has now completed one year and one day of One Peace Press Daily Truth Messages, for the human enactment and understanding of the physical science of Muscle Testing Universal Truth, into human Peace On Earth This Year Or Soon Enough. The physical science of Muscle Testing Universal Truth, is understood and measured and logically and reasonably interpreted to be the equivalent of Holding God’s Hand In Return, by any true and physically measurable name and concept for what has been most simply historically named god and the divine and holy! Muscle Testing Universal Truth and One Peace Press boast not unreasonably, with the accurate and scientific statement that, Muscle Testing Universal Truth can measure the unconscious internal and eternal universal guidance, which to many has been given the historic name God Almighty, as well as Mother Nature, and the concept of a consciously entangled universe. This understanding of a universal consciousness is exactly like quantum physics and many other modern scientific studies have measured and proven, which is that there is non-local and non-physical information sharing that is present and repeatably measurable within human life. Naming Muscle Testing Universal Truth to be Holding God’s Hand In Return, and Holding In Return The Scientific Key To Unlocking The Hidden Variables And Mysteries Of the universe-ALL, is simply recognizing that according to historic religious and spiritual teachings, Muscle Testing Universal Truth is what has been named to be, God Almighty helping those that help themselves. Naming Muscle Testing Universal Truth to be Holding In Return The Scientific Key To Unlocking The Hidden Variables And Mysteries Of the universe-ALL, is simply understanding the accepted physical science that states that Muscle Testing is at very least, a measure the instinctual intelligence, known to be present and accessible within normal brain tissue, as human natural instincts and intelligence. As with quantum entanglement, remote viewing, random access generators and many other humanly lived and experienced natural known and proven phenomena within human daily life, human life can reach past and beyond one’s own local and physical environment, to access entangled conscious information, and healthy and strengthening human guidance. This is the enlightenment task of the individual human being in life itself. The quest for Peace On Earth This Year Or Soon Enough continues to build and grow within One Peace Press and the ALL of We The People. In the quest for Peace On Earth This Year Or Soon Enough, One Peace Press has found time restraints limiting the ability to complete some needed and measured to be important and vital research and writing and teaching projects, as well as focusing on furthering the science of Muscle Testing Universal Truth. Therefore, now upon completion of one year and one day of One Peace Press Daily Truth Messages, One Peace Press and founder John C. Worthington, RN, needs to focus more time and entangled conscious energies, on other necessary One Peace Press Peace On Earth This Year Or Soon Enough advancements. Because of this and at this time, One Peace Press will be only writing One Peace Press Truth Messages, and Test Me On It messages, as inspiration and intuition and the ALL of life itself guide and teach such to be. This move away form writing daily One Peace Press Blog posts is being done, so as to allow for other One Peace Press Muscle Testing Universal Truth and Peace On Earth This Year Or Soon Enough research, writing and teaching projects to advance, in a more timely rate. Please comment at any time, or ask any questions, or even request a One Peace Press Blog post on a topic, or to clarify some current event, or to ask about any Aquarian Physics, Simple Relativity or One Peace Press topic or idea, as you yourself see fit and so measure. 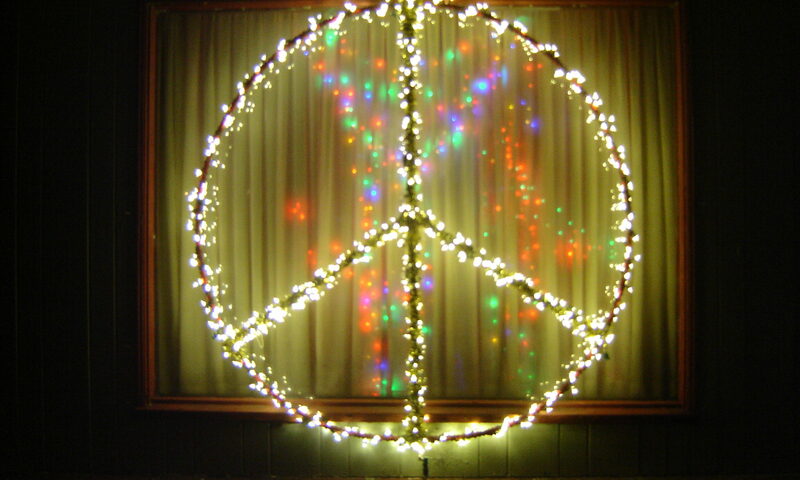 Peace On Earth This Year Or Soon Enough We The People, Peace On Earth This Year Or Soon Enough! This year We The People, humanity has the living and physical potential to initiate Peace On Earth This Year Or Soon Enough, within universally available muscle strength and weakness measurement, done accurately and honestly to measure just exactly what are the greatest, best and most useful human health and strength life choices! This year with you yourself We The People, FREELY choosing to begin to utilize your very own inherited muscle memory and instinctual intelligence, passed down from the ALL of ALL the previous human generations and life lessons that came before, and as accessed through the science of Muscle Testing Universal Truth independently and personally, you yourself can bring Peace On Earth This Year Or Soon Enough. The ALL of life itself, by any true and measurable name and concept, is present within ALL inherited instinctual human life lessons; and, is presently humanly scientifically accessible and measurable by you yourself We The People, beginning to simply FREELY choose to bring greater human intelligence and enlightenment into your very own daily life and daily life choices. Human physiology and psychology very clearly proves that inherited human instinctual and intuitional intelligence, lives within the ALL of ALL human beings and ALL humanity, as an internal guiding, and now on scientifically measurable and available, storehouse of human intelligence and morality, about how to make the very best of life itself, as learned and refined for millennia while humanity has grown and advanced. Even the skeptics of the physical and empirical science of Muscle Testing Universal Truth, agree that human scientific Muscle Testing can at very least access the whole of humanity’s own naturally evolved and developed inherited instinctual intelligence! Please We The People, for your very own personal health and strength, and for Liberty And Justice For ALL, just honestly and accurately try the physical science of personal and independent Muscle Testing Universal Truth, for the health and strength of the ALL of yourself, and the ALL of your family and community, and for the ALL of humanity becoming the ALL of personally and independently measured in, Peace On Earth This Year Or Soon Enough human intelligence and enlightenment. Peace On Earth This Year Or Soon Enough We The People, Peace On Earth This Year Or Soon Enough! Peace On Earth This Year Or Soon Enough lives in the equality of ALL human beings and ALL humanity, within the ability to accurately Muscle Test Universal Truth. The constant of universal human truth, which becomes accurately humanly measurable within the science of Muscle Testing Universal Truth, lives as a physically measurable constant that can guide the ALL of We The People into Peace On Earth This Year Or Soon Enough. Life itself reaches out to the ALL of humanity, with the modern day gift and grace and scientific blessing of Muscle Testing Universal Truth. Physical human muscles Hold In Return the needed modern day intelligence and truth-telling measurement tool, which Holds In Return the needed modern day potential, for the ALL of We The People to unite into one unified diverse population and society of humanity, as Liberty And Justice For ALL, within Peace On Earth This Year Or Soon Enough We The People, Peace On Earth This Year Or Soon Enough! Honesty in the ALL of life itself is reflected within the natural and inherent universal access We The People have to a higher internal and unconscious intelligence, that arises into consciousness as inspirations and instinctual intuitions; and, that can now on be scientifically measured within the objective and honest, personal and independent use of Muscle Testing Universal Truth. The ALL of life itself is present in inheritance, within ALL the generations of human beings throughout history. The ALL of life itself being present within the inherited instinctual intuitions, and measurably present within accurate scientific Muscle Tests, lives within the physical brain tissue and measurable consciousness, of the ALL of humanity. Human life includes some very good inherited instinctual intuitions that are commonly felt and experienced by individual human beings as feeling and being ‘good’. And when these ‘good’ feeling intuitions or inspirations are lived out or followed and enacted in life, they are found to actually be good and useful, in the achievement of gaining greater human health, strength, FREEDOM, and universal human truth prosperity. Human life also includes some feelings and experiences, which in some weakened, upset or wanting states of mind, are thought to feel and be experienced to be similar to good and useful inherited instinctual intuitions; and yet, when followed and enacted, and because they are only falsehoods and illusions of being good and useful, they result in the loss of human health, strength, FREEDOM, and universal human truth prosperity. Muscle Testing Universal Truth can accurately measure the difference between ‘good’ and ‘bad’ human intuitions, as human muscle strength and muscle weakness both do naturally occur within human beings, within the ALL of universal human truth. Muscle Testing Universal Truth can help We The People learn the ‘good’ and true inherited instinctual intuitions, from the ‘bad’ and false intuitions. Life itself is present within ALL physical and conscious human beings, as the internal inherited instinctual guide to the ALL of the greatest good of life itself. Hold In Return life itself”s inherited instinctual guidance, for Peace On Earth This Year Or Soon Enough We The People, Peace On Earth This Year Or Soon Enough! Present within the ALL of ALL human beings lives the inherent and inherited instinctual universal human truths and life lessons, learned within the life experiences and life lessons of the ALL of humanity that came before this present time. Modern human physiology and psychology measure that human instincts are universal instincts that have grown from the ALL of human life itself, passed on generation after generation; and, that this instinctual intelligence provides a higher intelligence, again reflective of the entire inherited conscious intelligence of the ALL of human being life. Modern human physiology and psychology measure that within the human brain and consciousness, is where human instincts physically arise from; and, that the ideomotor action equally arises from the human brain and consciousness and unconsciousness, which can give human beings a guiding higher intelligence in some situations. Ideomotor action is what some claim to be the ALL of Muscle Testing Universal Truth, without consideration of one’s own personal whole life experience consciousness and unconsciousness, and without consideration of one’s own personal whole inherited direct blood line, and without consideration of one’s own personal whole inherited instinctual human intelligence; because, each of these parts of the human instinctual conscious and unconscious brain and conscious functioning, alone clearly can be measured as a higher intelligence that is now on made scientifically accessible and repeatedly physically measurable, by the ALL of We The People. And, this higher intelligence that is measured and proven to be real within ALL human brains and consciousness, according to accepted understandings of modern physiology and psychology, does not even then also include a universal conscious entanglement with nature and the universe-ALL, by any true and measurable name and concept, which has been well proven within quantum physics, remote viewing, random access generators and Muscle Testing Universal Truth. Muscle Testing Universal Truth within an objective state of neutral single idea conscious focus, that is focused on only Muscle Testing Universal Truth, can measure the ALL of the greatest good of measuring in always more human health and strength inherited instinctual intelligence. Peace On Earth This Year Or Soon Enough We The People, Peace On Earth This Year Or Soon Enough! Human instincts are inherited intelligence that is held within the brains and consciousness of ALL human beings, as instinctual universal human truth. Modern science understands that this universal inherited instinctual intelligence within human brains and consciousness, Holds In Return the ability to guide human beings and humanity to greater human health and strength; and, this is scientifically accepted fact, even without bringing any measured universal consciousness or quantum entanglement into the present day human equation. Muscle Testing Universal Truth can access the greater intelligence of one’s own conscious and unconscious knowledge, as well as the greater intelligence of the instinctual inheritance of the ALL of humanity, and the greatest intelligence of the ALL of the measurable universal consciousness of the ALL of life itself, by any true and measurable name and concept for what most simply has been called nature and god and the divine and holy. Even if your personal beliefs cannot yet accept the proofs of a universal intelligence, modern science very clearly proves that inherited instinctual knowledge lives within ALL human brains and consciousnesses, and is accessible and measurable, and highly useful to access! Muscle Testing Universal Truth can scientifically access the greater and greatest knowledge, which is inherently and naturally available and accessible with the depths of ALL living human unconsciousness. The one single constant of the greater and greatest instinctual knowledge that has been achieved throughout ALL the ages of human life, is now on scientifically measurable within the physical science of Holding God’s Hand In Return, to Hold In Return The Scientific Key To Unlocking The Mysteries Of Human Life And Society, within the science of Muscle Testing Universal Truth; for, the greatest personal human health and strength achievable; and for, Peace On Earth This Year Or Soon Enough We The People, Peace On Earth This Year Or Soon Enough! We are ALL created equal within our personal and independent ability to measure the ALL of universal human truth, to be consistent and universal human muscle strength measurements. Muscle Testing Universal Truth is the equalizer, in the world of meek and bold We The People. Holding God’s Hand In Return is the equalizer, in a world that must allow the everything of falsehood and illusion, to twist and corrupt human beings into a weakened state of predigest and bigotry against those meek and bold human beings and human groups that are different than one’s own. Holding In Return The Scientific Key To Unlocking The Hidden Variables Of Human Life, gives universal strength to those of the ALL of universal human truth, by any true and measurable name and concept. Within a modern society that has allowed in falsehoods and illusions, of what it is to be for We The People of humanity, the science of Muscle Testing truth and FREEDOM evens the playing field. We The People beginning to measure the ALL of universal human truth, is We The People now on living for what it is to be for the ALL of always more measured in human health, strength, FREEDOM, universal human truth and Liberty And Justice For ALL equality. Peace On Earth This Year Or Soon Enough begins by you yourself FREELY choosing to personally and independently measure the ALL of human equality, into the universal human truth of the greatest good of human life itself now on being always more humanly created, as if the meek are to inherent the Earth! The greatest human strength and health can be achieved by We The People of the ALL of humanity, only within the natural and inherent equality of the modern meek and bold measurement of Peace On Earth This Year Or Soon Enough We The People, Peace On Earth This Year Or Soon Enough! United We Stand in universal human truth teaches the equality of ALL human beings, within the ability to Hold God’s Hand In Return. Liberty And Justice For ALL lives as United We Stand in universal human truth equality and FREEDOM. The American Way to The American Dream of United We Stand within Liberty And Justice For ALL, is the We The People scientific blessing of Muscle Testing Universal Truth, to teach the ALL of the greatest good of the universal human truth equality and FREEDOM that is inherent within ALL human being muscles. The universal human constant that is Held In Return within the personal and independent measurement of the ALL of universal human truth, is the inherent instinct, and unconscious and consciously focused natural reflex, of the life given intelligence to survive and thrive, within a complex and confusing modern human society, which has the allowance of the everything of rude and ugly slurs against equality, that is the falsehood and illusion of what is healthy and strengthening to human beings and humanity, and human being muscles! In Order To Form A More Perfect Union, Establish Justice, Insure Domestic Tranquility, Provide For Common Defense, Promote The General Welfare, And Secure The Blessings Of Liberty To Ourselves And Our Posterity, We The People need to measure accurately what is the universal human truth of our world. And Crown Thy Good With Brotherhood From Sea To Shining Sea. Muscle Test equality, and Peace On Earth This Year Or Soon Enough We The People, Peace On Earth This Year Or Soon Enough! Truth that is real and actual and factual human universal truth teaches We The People that there is both truth and falsehood in human life. The truth of what is healthy and strengthening to human beings and humanity, is measurably different than the falsehood of what is healthy and strengthening to human beings and humanity. The ALL of what is healthy and strengthening to human beings and humanity teaches that the everything of what is unhealthy and weakening to human beings and humanity, is the falsehood and illusion of what is healthy and strengthening to human beings and humanity. Muscle Testing Universal Truth teaches We The people of humanity that the everything of what is the truth of what is unhealthy and weakening to human beings and humanity, can now on be accurately humanly measured to be the falsehood and illusion of what is healthy and strengthening to human beings and humanity. The everything of what is unhealthy and weakening to human beings and humanity, naturally and inherently makes human being muscles unhealthy and weak; and, the accurate human personal and independent measurement of the everything of human life naturally and scientifically measures to be human muscle weakness physical events. Measure gone and away the falsehood and illusion that makes human beings and humanity unhealthy and weak; and, measure Peace On Earth This Year Or Soon Enough into human being. Peace On Earth This Year Or Soon Enough We The People, Peace On Earth This Year Or Soon Enough! Truth lives We The People! Universal human truth is life itself, alive and well within the ALL of We The People. The ALL of what is real and valid and verifiable human life fact and universal human truth, presently simple awaits We The People’s personal and independent measurement, for the greatest good. Alive within ALL human being muscles, lives the measurable universal human truth of our present modern human day. This day We The People, FREELY choose to take up the ALL of universal human truth, to personally and independently accurately measure just exactly which human words, actions and conscious intentions, will bring oneself the ALL of the greatest good possible within modern human life. Truth lives We The People, as do you; and, Muscle Testing Universal Truth can accurately teach and guide We The People, to the ALL of always more measured in human health and strength within universal human truth FREEDOM. This day We The People, FREELY choose to begin to live as the ALL of universal human truth measured into human being; and, Peace On Earth This Year Or Soon Enough We The People, Peace On Earth This Year Or Soon Enough! Intelligent human life is not about always knowing just exactly what is the very best and most strengthening and healthy life choice, in any new or unusual human being life situation. Intelligent human life is not even always knowing just exactly what to do to best gain the greatest human strength, health, FREEDOM and universal human truth, within common and usual human being life situations. Common and usual human being life situations can bring uncertainties and doubts, as well as certainty with poor outcomes; simply because, there is illusion and falsehood that must be allowed within the life lessons of intelligent human beings and human society. Illusions and falsehoods in any human form can trick and fool and confuse even the most intelligent and wise and spiritual and religious and scientific of human beings, into the everything of thinking in error that what is weakening and unhealthy to human beings and humanity, is human strength and health. And thus, human illusion and falsehood can trick and fool and confuse We The People into allowing and supporting and voting against We The People’s very own personal human strength, health, and general goodwill and greatest good. Human life presents the natural and inherent personal challenge to the ALL of humanity, to learn to best measure the universal human truth of what is the most strengthening and healthy way to live, within the perils and pitfalls of modern human being life on planet Earth. Muscle Testing Universal Truth gives We The People the advantage of a better and more useful and more accessible human measurement tool, to best measure always more human strength, health, FREEDOM and universal human truth into human life and being. Peace On Earth This Year Or Soon Enough We The People, Peace On Earth This Year Or Soon Enough! Dishonesty and corruption shows itself to We The People in those individuals who do not fully support the full and open complete public disclosure, as well as the honest and forthcoming public releases, of any and ALL information and documents and communication that in any way relate to the ongoing National Security and National Intelligence investigations. And, these acts of dishonesty and corruption have been attempted to be weakly hidden from We The People of the ALL of universal human truth, God And Country, by those who are undeserving of any future support or votes. Anyone who has not already publicly released ALL recent tax records and business dealings and communications and contacts with Russia, since the well-known and coordinated Russian election tampering with America’s last full election, shows dishonesty and corruption that needs further broad, extensive and detailed investigations. Dishonesty, corruption and unpatriotic disloyalty are shown within those that wish to control and limit investigations, and by those who have not yet fully disclosed; as well as, by those that have not yet strongly acted to assure that Russian and other foreign election tampering can never be effective again, within The United States Of America. Liberty And Justice For ALL is founded within open and honest universal human truth, which is also the democratic way of speaking, acting and living for the ALL of the greatest good that science and religion and spirituality can bring to We The People. Science and religion and spirituality can bring We The People Peace On Earth This Year Or Soon Enough, within the inherent nature of measured in universal human truth. Dishonesty and corruption require only the accurate and honest scientific measurement of the ALL of universal human truth, to be shown to be the universal muscle weakness, of those people and positions that are undeserving of ever being supported or voted for again, by We The People of the ALL of God And Country. Live for always more measured in universal human truth We The People; because, your human being muscles know and can measure the ALL of greater human health and strength, even when your mind may not be able to. Testing humanity is the everything of dishonesty and corruption; and, measuring universal human truth, tests and measures the everything of dishonesty and corruption, clean away from weakening We The People any further. Test the ALL of honesty and the moral wholesome human health and strength, within the science of Muscle Testing Universal Truth We The People, to measure in always more personal and family and community and planetary human health and strength within universal human truth FREEDOM. Dishonesty and corruption live as dishonesty and corruption live; and, dishonesty and corruption are naturally and inherently consistently measured to be human muscle weakness, within universal human truth. The universal human weakness of dishonesty and corruption must now on be always more measured gone and away, for good, for good, for the greatest good to now on be always more measured into human being. 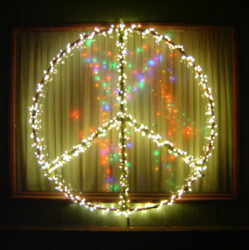 For the greatest good, Peace On Earth This Year Or Soon Enough We The People, Peace On Earth This Year Or Soon Enough! The quest for ultimate and divine universal human truth, is the quest of We The People to find a method for ultimate and divine universal human truth to be accurately universally consistently measured into being, by the ALL of humanity on planet Earth. ALL religions seek to unite the ALL of humanity into one single understood universal human truth. Science that is for the greatest good of the ALL of life itself, also seeks to only unfold always more universal human truth. Governments that are Liberty And Justice For ALL, act to enable universal human truth within human communities and society. Universal human truth is the quest of ALL intelligent human being life, to find and bring always more human health, strength, FREEDOM, universal human truth, help, pleasure, independence building and honesty into life itself. The joy and comfort and accomplishment of always more universal human truth being measured into human communities and society, is the quest of ALL religion, science and governments that are of the ALL of universal human truth. The greatest good of universally wholesome and moral and life giving human being words, actions and conscious intentions, is the greatest good of always more measured in universal human truth, now on being the ALL of We The People’s quest for personal and family and community and planetary greatest good, being now on put into human conscious intentions, actions and words. The personal quest to find ultimate and divine universal human truth within human life, has long been considered to be a quest done only by hermits, monks, popes, shaman, gurus and others who do not live as a common human being of meek inheritance. The search for the ALL of universal human truth, now comes home to the ALL of ALL meek and bold human beings of We The People, within the modern physical science of accurate and honest Muscle Testing Universal Truth. The ultimate quest for human enlightenment, personally begins within a place of personally found and lived universal human truth; and, the natural gift and blessing of Muscle Testing Universal Truth, now like never before in recorded human history, gives the common meek human being the personal inheritance of now on measuring in always more ultimate universal human truth and personal enlightenment. Peace On Earth This Year Or Soon Enough We The People, Peace On Earth This Year Or Soon Enough! Pure science and pure universal human truth, by any true and measurable historic name for natural physical science, and by the any true and measurable historic name for what has been called god and the divine and holy, are now within our present modern time of need, found to each and both be universal human being muscle strength physical event measurements. The pure science of objective and accurate Muscle Testing Universal Truth, is the very physical and conscious human nature of what lives within ALL human being muscles. ALL human being muscles naturally live stronger and healthier, with strengthening and healthy input that is actually and honestly strengthening and healthy input within universal human truth. ALL human beings naturally also live stronger and healthier, with the ALL of always more strengthening and healthy input, being now on measured into the ALL of human being life and society. Presently only Muscle Testing Universal Truth has the potential to unite the ALL of ALL peoples in a physically measurable way, into the epiphany that there is only one single universal human truth, historically named according to personal beliefs and ways to be both natural physical science, and what has been most simply called god and the divine and holy. Pure science and pure universal human truth are the strength and health of the physical natural world and the conscious spiritual world, now brought together within the physical science of the ALL of We The People Holding In Return The Scientific Key To Unlocking The Mysteries Of the universe-ALL, within Muscle Testing Universal Truth. Peace On Earth This Year Or Soon Enough We The People, Peace On Earth This Year Or Soon Enough! We The People need to have a real life epiphany about what it is to actually live for the ALL of universal human truth, by any measurable historic name and concept for what most simply has been called both the ALL of nature and the ALL of god and the divine and holy. We The People need the physically and consciously and personally first hand humanly individually lived, felt and experienced scientific blessing that is the ALL of Muscle Testing Universal Truth, being now on physically and consciously and personally independently measured into being; so as to, personally and independently gain the epiphany that science and nature and spirituality ALL come together, within the accurate human measurement of what historically has been understood to be living for the greatest good and epiphany of, what most simply has been called god and the divine and holy of nature and science. Muscle Testing Universal Truth gives modern humanity the natural and inherent gift and grace and scientific blessing, of always more measured in accurate and honest universal human truth, being personally and independently felt, experienced and lived, within the epiphany of the divine and holy and scientific and greatest good, of the meek inherent nature of the ALL of human life itself. Fear not the ALL of universal human truth, nor the epiphany that We The People are naturally and inherently and scientifically and divinely guided, by the living gift and grace of physical Muscle Testing Universal Truth. Fear not that oneself may be in some state of illusion and falsehood, about what is the now on scientifically measurable modern universal human truth, of scientific and spiritual and philosophical physical and conscious reality within human being life itself. Fear not universal human truth; because, the ALL of universal human truth is where scientific and divine human epiphanies are born and arise from, into Peace On Earth This Year Or Soon Enough! Peace On Earth This Year Or Soon Enough We The People, Peace On Earth This Year Or Soon Enough!